Brent Miller Hill, 72, passed away on March 11, 2019 surrounded by family and friends. He was born November 1, 1946 to Joseph Donald and Darl Miller Hill. The birth and death of this great man are not nearly as relevant as the moments he lived to the fullest between those dates. Brent grew up in Salt Lake City and graduated from West High School. After high school, he proudly served his country in the Army, stationed overseas in Germany. Service was a foundation of Brent’s life, even though he didn’t recognize it in himself. He was always willing to help others, whether doing yard work for the elderly, teaching a nephew to play baseball, moving someone into his home, or caring for his grandchildren. To those closest to him, he was a formidable hero who carried much on his shoulders to ease the burden of others. Brent married the love of his life, Annette Meads, on June 9, 1967. After nearly 52 years of marriage, the two were inseparable. Together, they raised three girls who will cherish their memories of Bear Lake trips, Fish Lake campouts, and waking to the music of Simon and Garfunkel on Sunday mornings. Brent possessed a strong work ethic, yet, he never took life too seriously. Playing hard was equally important as working hard. He was a consummate prankster and his playfulness and laughter will be deeply missed. 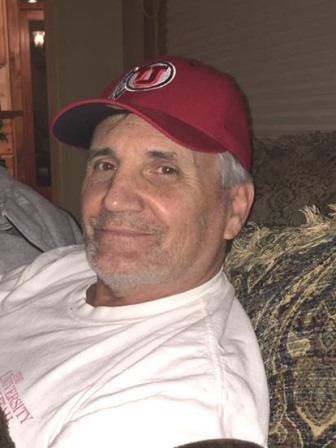 He was an avid University of Utah fan and never missed an opportunity to see his team play football or basketball. Brent is survived by his wife, Annette Hill; daughters, Jennifer Porter (Rex) and Amber Hill; grandchildren, Cameron Perry (Ciara), Brittani Elmer (Braedon), and Brooke Perry (Hewson Hirst); five great-grandchildren; brother, Jon Hill; sister, Carole Hooten; nieces, nephews, and countless friends. He was preceded in death by his daughter, Rebecca McCauley; parents; sisters, Barbara Quintana and Marcia Hill; and brother, Don Hill. A celebration of Brent’s life will be held on Saturday, March 23, 2019, from 2 PM to 4 PM at the Cottages on 7th (9206 South 700 East, Sandy, Utah). The family wishes to extend a special thank you to their friends at Silverado Hospice for the quality and compassionate care they provided. They also wish to thank the staff at Cottonwood Neighborhood House for bringing the joy of music, dancing, and friendship to Brent in his final months.